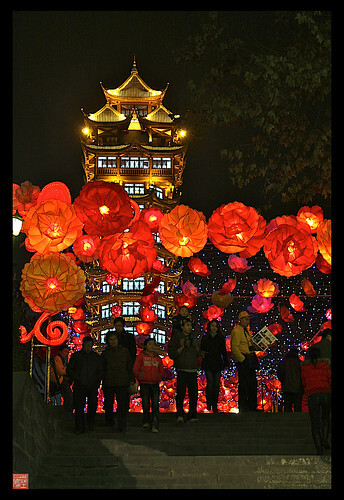 The Lantern festival in Chengdu dates back to 711 AD during the Tang Dynasty in China. Originally it was a one-day event and used to occur on 15th of January of the lunar calendar. Later this popular festival was extended for ten nights during the Ming Dynasty (1368 – 1644 AD) in China. 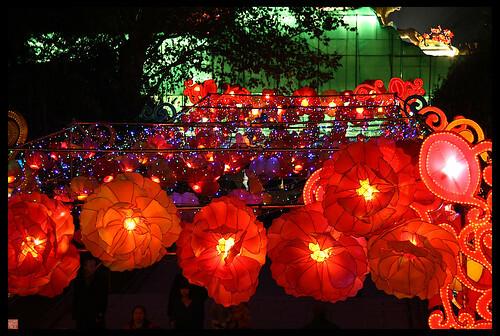 The present form of Lantern Festival in Chengdu lasts for one month at a stretch. It is one of the most popular festivals in China. 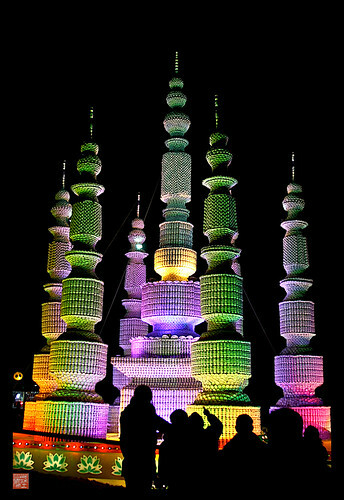 During the festival the city gets fully covered by colorful lanterns of different sizes. The shining beauty of Chengdu during the lantern festival draws around ten million tourists every year to this capital city of Sichuan province. During the festive season, the city hosts a huge fair at the Qingyang Palace, which is a famous Taoist temple in Chengdu. Besides its colorful display of lanterns, the fair is also popular for its wide variety of entertainments involving acrobats, jugglers, games and singing. You can also try out the mouth watering local snacks served by the food stalls in the fair. However the main attraction of the fair is its ocean of lanterns. Every year some new designs of lantern are launched in this lantern fair. The most popular form of lantern is the Dragon pole. 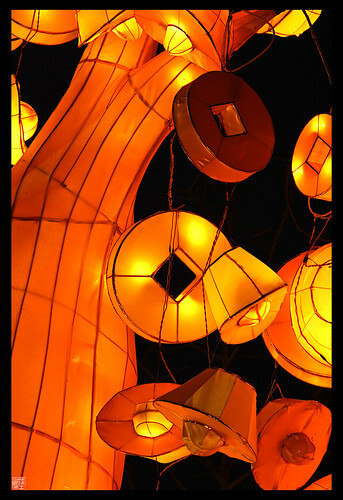 This popular lantern comes in the shape a giant golden dragon, coiling around a 27-meter high pole. Fireworks ejecting from the mouth of the golden dragon is indeed an impressive sight. 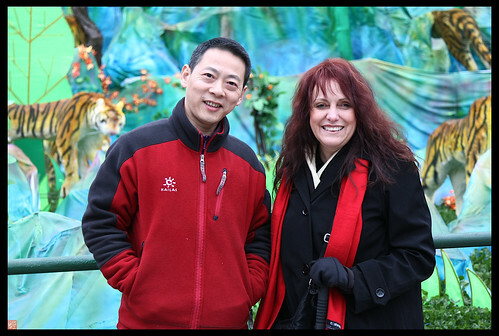 The Chengdu Lantern Festival has a great connection with Chinese tradition. According to the Chinese custom, the Chinese people mark the beginning of a new year, when there is a full moon shining in the sky, with thousands of dazzling lanterns. They usually the celebrate the beginning of the year by solving puzzles on the lanterns and eating yuanxiao, a popular dish of glutinous rice ball. 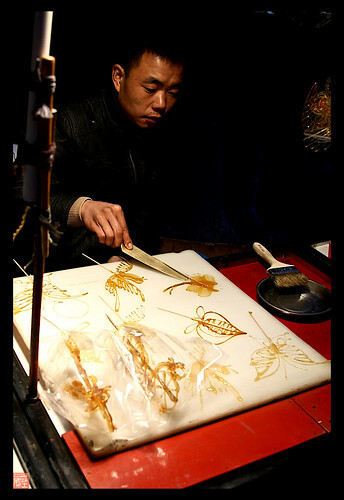 Over the years the lantern festival has become an integral part of the local people in Chengdu. THANK YOU MICKAL FOR TREATING US TO THIS BEAUTIFUL FESTIVAL AGAIN!!! These trees were entirely artificial and lined the walkways. Breathtaking colored lights! Wow…did we look tired??? 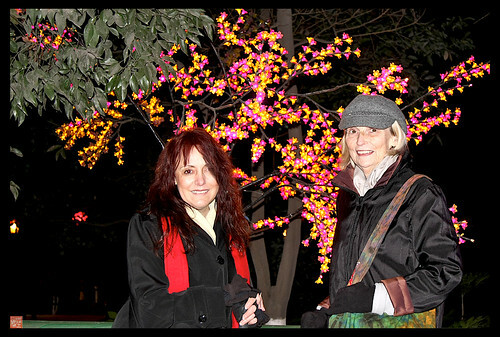 This was the night before we departed for Chiang Mai. I’m so glad we were able to fit this festival into our day!!! Beautiful!!! Spectacular photos (as always)! Just beautiful. I love the flower lanterns. Hi Bonnie and Gwen!! So glad you are following all the post journey photo updates!!! Those flower lanterns were incredible in person Gwen. They were my favorites too!! !